← How can we as a planet heal or repair our collective Global Stress Disorder? 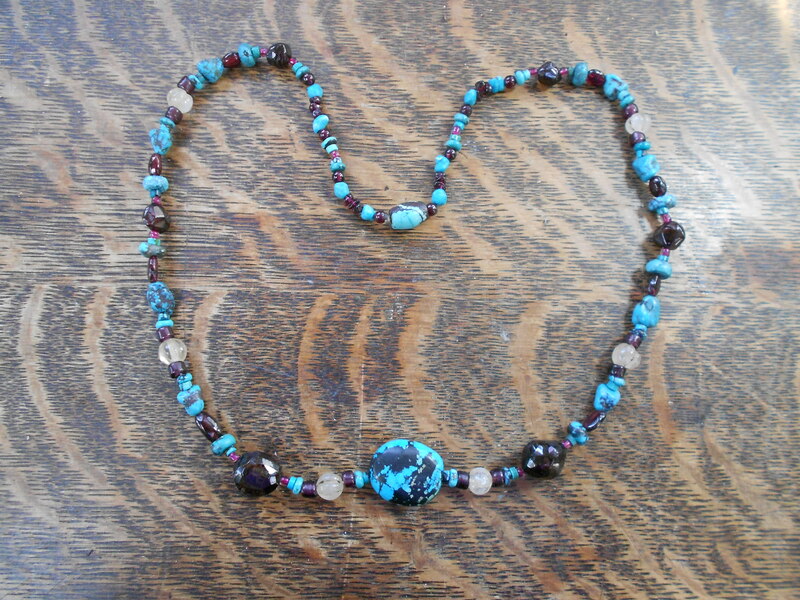 I have been creating Medicine Necklaces for over thirty years. 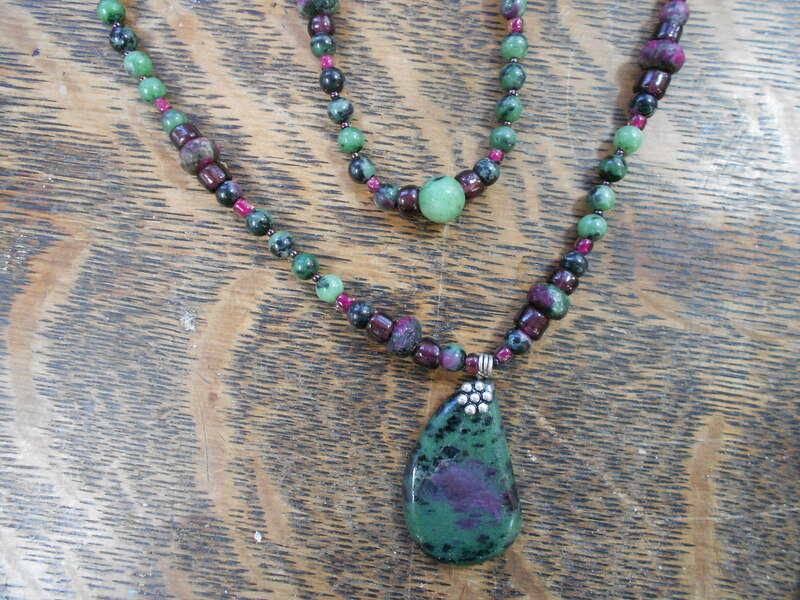 As a fifth generation Idahoan, I am very proud of our “Gem” State with all its precious, diverse stones and crystals. 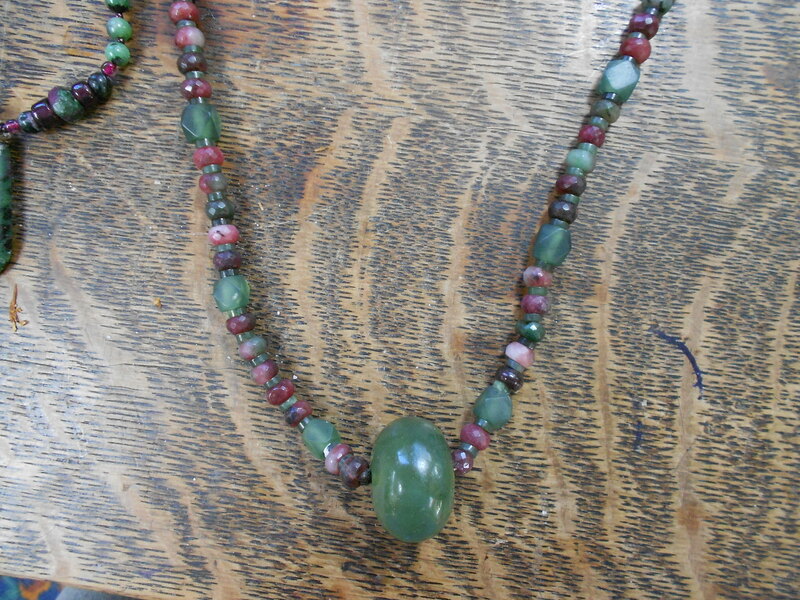 From garnets, to a multitude of jaspers, including Bruneau Picture, Willow Creek; opals, sapphires, obsidian and so much more. The Indigenous people believe only the mountains and the stones live forever. 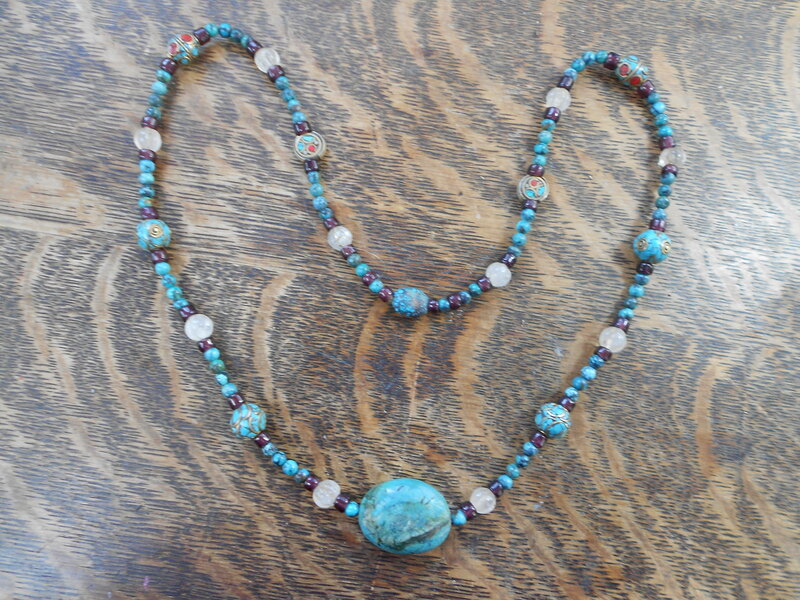 They are considered guardians, wisdom keepers and provide vibrational support of one’s being. Medicine means to me that which makes one well, at peace, vitalized. 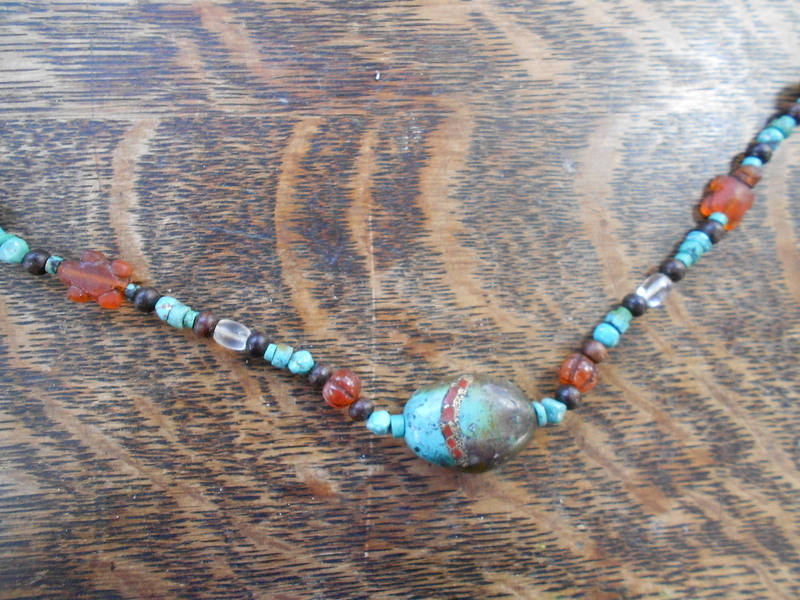 For the past few years, Suzanne’s attention was pulled to the Tibetan tribal beads and their honoring of the oceans, mountains, rivers and natures family. 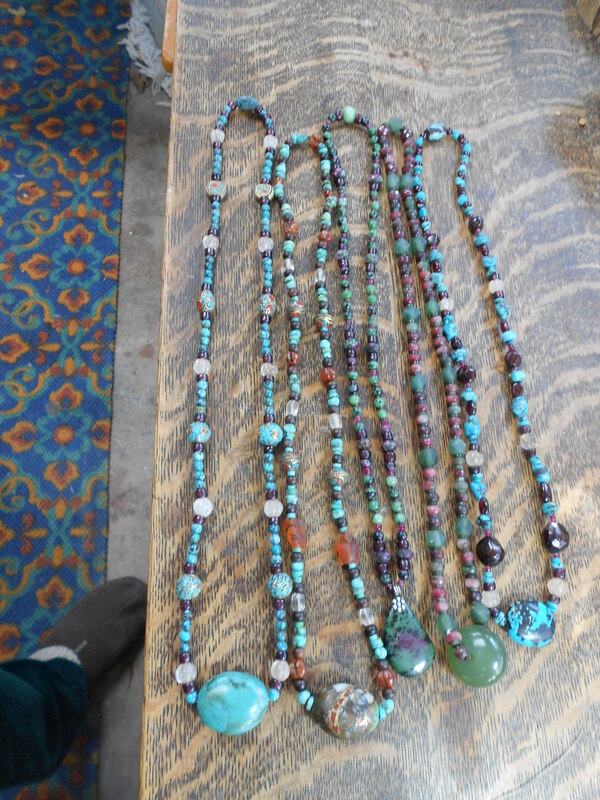 Integrating the Tibetan beautiful art with her deeply rooted Indigenous Peoples’ symbolism has created necklaces and beads representing universal harmony, beauty, empowerment, tenderness. I sing this as I create Medicine Necklaces. I have the gift of holographic touch when connecting with the various stones and pendants. I can “see” the terrain it came from. I can feel the artistic intention. I gaze out into my own backyard nature and see the color tones with each changing season. I pray. This entry was posted in Features, WBM Times Journal. Bookmark the permalink.